Blockchain and video games have several links already. It’s no surprise now that someone is taking blockchain and founding a games buying and selling platform on it. 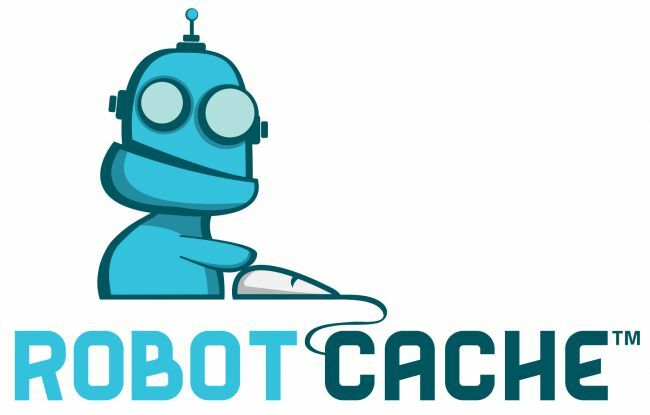 Robot Cache is the platform and they will have their own cryptocurrency as well. Robot Cache is the brainchild of InXile Entertainment CEO Brian Fargo, makers of Torment, Wasteland, and The Bard’s Tale. The platform will utilize blockchain as a major piece of its foundation. Their cryptocurrency will be called Iron and it will be minable. Users can also gain Iron from selling games and cashing out. In a landscape dominated by giants like Steam (from Valve Software), GoodOldGames (GOG), Sony and Microsoft, few smaller companies have managed to carve out a niche for themselves. Robot Cache aims to leverage the power and popularity of blockchain and cryptocurrencies to help carve their place out. On top of that, they will pay developers more for the games sold. On average Steam and GOG take about 30%, while Robot Cache will take just 5%. For years, developers have been trying to establish a way to make money off game resales. With Robot Cache, they will net 70% of revenue from game resales, 25% will go to the former game owner and the rest to the platform. Whether or not gamers will be on board with that remains to be seen. The extra benefits of a system like Robot Cache include more money for the developers. Smaller developers do not have millions to put into marketing budgets for their games unless they offer up a major slice of the profits to a publisher. Developers could see a better revenue stream. That revenue stream could allow them to create more support and expansions for games as well as more games in general. Additionally, if Iron takes off, it could make a lot of money for developers who get in on the ICO. Others could utilize their powerful servers and computers to mine Iron and generate revenue to produce new projects in the hours the office is closed. Publishers are middlemen, they are the distributors of the games and the marketers of the game. They are the ones you generally see at conventions and who print, package and get the games to brick and mortar shops. Taking them out of the equation means a closer interaction with the gamers themselves. It also means that games could be sold at a lower price. The reason that console games are $60 from EA is because they put millions into marketing budgets. In order to recoup those marketing costs they had to raise the price of games. That also protects their bottom line. When brand new games are able to be offered directly to gamers through a platform that pays the developers what they and their work are worth, it changes the landscape. It means that instead of selling games for $60, perhaps they could be $50 or even $40 for the same game. When the developers are making the majority of the profit from their hard work and time, then they are more inclined to make the best content they can. Plus, they don’t have a publisher who is telling them what can and cannot be included or how much content must be cut out and sold separately as an expansion. In the end, Robot Cache could be great for developers, and gamers alike.